I have no idea why, when John was deployed, I never sent him anything online. Maybe I was just nervous about shipping to an APO/FPO. But I’m pretty sure the idea never even dawned on me. Kinda, sorta sad, right? Especially since there are so many retailers that now offer APO/FPO shipping as a possibility. Amazon ships most items, although there are some restrictions like dimensional shipping limits, weight, large/oddly shaped items, and hazmat items. Read more about their policies here. Similar to Amazon, WalMart does ship to APO/FPO addresses with some restrictions. Packages being shipped APO/FPO are sent as Value Mail and may take 3-6 weeks to get there. Read more about their policies here. Ebay sends to APO/FPO addresses but requires specific instructions instructions on how to fill out shipping info. Read more about their policies here. Newegg ships to APO/FPO addresses through USPS. The order may take one to two days to process and 5-10 days to deliver (and up to 6-8 weeks). Delivery time is not guaranteed. Read more about their policies here. Look for a special icon for items that are eligible for shipping to APO/FPO addresses. Read more about their policies here. Get free shipping at Target.com with your REDcard… even if you have an APO/FPO address! Read more about their policies here. Beauty.com offers free shipping to APO/FPO addresses, although some products are not eligible. Read more about their policies here. Drugstore.com is an affiliate of Beauty.com, so you can get free shipping on most items to APO/FPO addresses. Read more about their delivery policies here. Waterpik ships APO/FPO with the shipping rate depending on your order’s total. Read more about their policies here. APO/FPO shipping costs $8 as a flat free with most shipping time taking between 7-10 business days. Shop through Macy’s US site to avoid international shipping charges. Read more about their policies here. Yup, Kohl’s too, but your billing address must be within the US for your order to go through. Read more about their policies here. Even Harry Potter fans can get their fix overseas. Most products can be shipped APO/FPO; however, if they cannot be, they will be clearly noted in the prodcut details. Make sure you’re looking for an “Export Restriction” note. 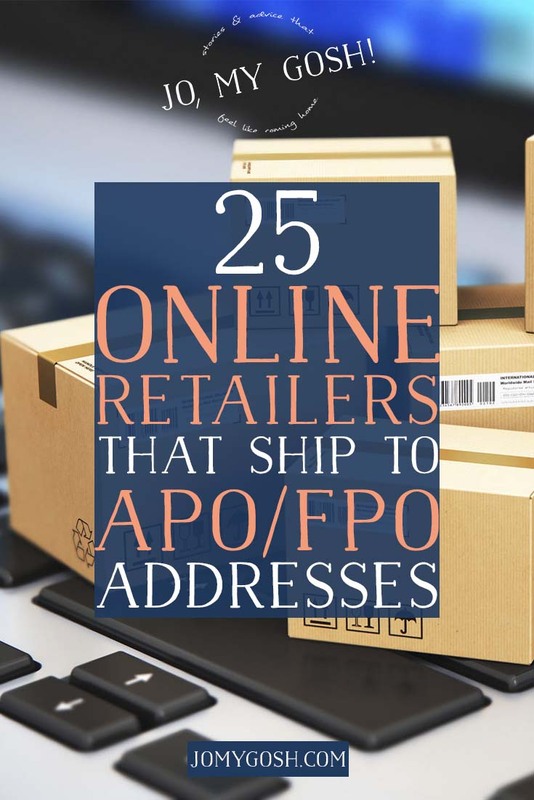 For APO/FPO addresses, tracking numbers are not available and you will need to follow different directions when completing your shipping address on the site. Read more about their policies here. Keep your super hero(ine) happy with a treat from the Marvel Store. To order or ship your guitar goodies, shop normally through Guitar Center. Do not use the international page to avoid extra charges. Read more about their policies here. A deployment is a perfect time to get crafty. Just allow 20-30 business days for those knitting needles to arrive. Read more about their policies here. Oh Snap(fish)! No restrictions apply for items on Snapfish, however, please follow these directions for filling out the shipping form. BAM! sends products to APO/FPOs. They sell bargain books, too, which can be sent to someone deployed and then left behind so they don’t have to mess with bringing them home. Read more about their policies here. People with APO/FPO can trade on Half.com. Read more about their policies here. This book seller definitely ships to APO/FPO, but asks that you allow extra time for processing. Shoe lovers can ship to APO/FPO addresses, but be sure to order well in advance. Zappos does not speculate when orders will arrive. Read more about their policies here. Footsmart ships to APO/FPO addresses, but adds an additional $6.75 onto the standard shipping charges. Read more about their policies here. What retailers do you use to ship APO/FPO? Share them in the comments and I’ll be sure to add them to the list! I send things from Figi’s. They have a APO/FPO section. I can’t believe Kohl’s does b/c they are one of THE ONLY retailers that block their site overseas. I can’t even access their site to place an order to a DPO address. Boo Kohl’s. My understanding Buckle ships to APO and gives military discount. Hickory Farms. 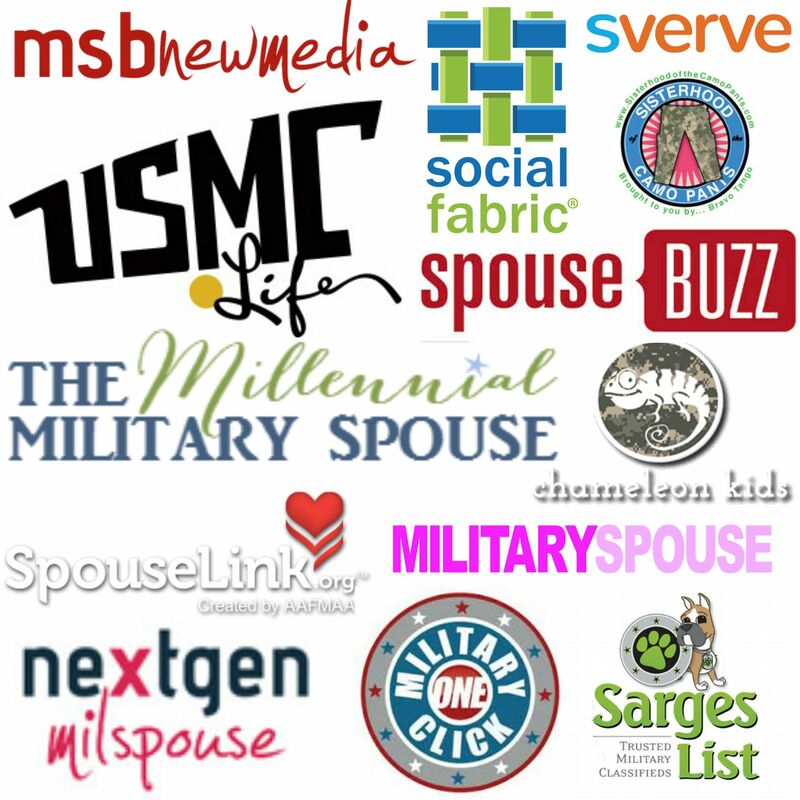 Some of their items ship free to military. I have spent hours trying to find companies that will ship rugs to military addresses. Not huge rugs, just door mats and kitchen comfort rugs. Sharon, KVGSupply.com might ship to APO. Be careful with Target. I ordered from them because they ship to APO and FPO, three different packages from them never arrived. Customer service wasn’t helpful and had no answers except that I should ship it myself. That is the downside when using APOs/FPOs – packages cannot be tracked, so you assume responsibility from the moment it gets handed to the USPS. 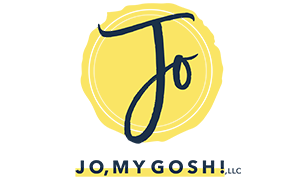 I would love to get your newsletter delivered to my email. Thanks! Looking forward to looking thru and reading what ahead!!! It is amazing to us that so many places do not ship APO/FPO. It is such an easy process and helps our men and women in uniform. What an easy thing to do. We started off not shipping APO/FPO just because we did not know any better but after receiving a few emails from servicemen we educated ourselves and added it to our shipping. Now we get several orders a week from service men looking for nice men’s clothing. Erin Condren ships FREE to APO without meeting the minimum spending for free shipping. Great post and very well explained. I believe in professionals so this is a very useful post for everyone. Many thanks for sharing. Zulily does, but be prepared to pay a bit more for shipping than you would stateside. If there’s others I’ll add them; my sailor worked in our base post office in Sasebo Japan for over 1.5 years.